Going for cocktail? It seems fairly harmless… it’s only a drink. But most cocktails, especially the popular ones, are full of sugary fruit juice and heaps of sugar. These can prove incredibly problematic for IBS sufferers and those with a digestive ailment as sugar enters the bloodstream speedily with no fibrous content, disrupting the acid balances in your tummy and causing that horrendous bloating feeling after consumption. So why ruin your night with these types of cocktails? 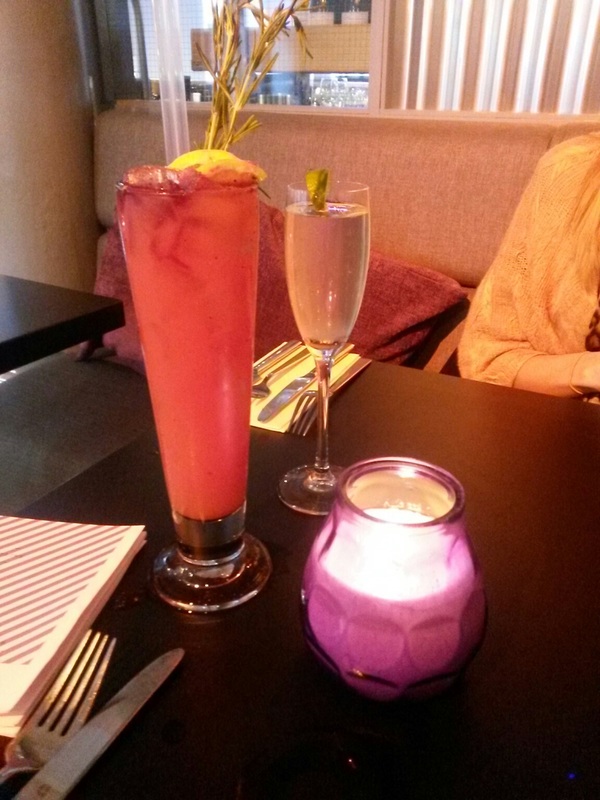 Here I break down where to get the best cocktails in Manchester which are not just the tastiest, but also won’t cause you any tummy upset! This is a brand spanking restaurant and bar near Manchester’s Picadilly train station which not only offers an impressive dinner menu, but also impresses with its healthy cocktail choices. Choosing which was my favourite healthy cocktail was pretty damned tough as they have quite a few excellent options, and I really was stuck between their Lemongrass Glass which combines Havana 7 Rum, Vanilla, Coconut Milk and Lemongrass and their Bloody Mary which is made upon how spicy you like it… but the Bloody Mary took the biscuit purely for its distinctive flavour with just the right amount of spiciness I liked and not too peppery. Whether you’re after a ‘tonic’ or a ‘treat’, Elixir’s offerings are never to be scoffed at as child’s play. Made by expert mixologists, you’ll be enthralled by their exciting menu which offers ‘petite bon-bons’, chocolate shells and homemade gooseberry puree. Easily their finest healthy, low-sugar cocktail is the Femme Fatale. A thrilling combination of Absinthe, Elderflower, Liquer, Pear & Lemon with Celery and droplets of Hopped Bitters. Liquorice’s menu offers a lovely range, some with bubbles, some without, and if you’re looked for the healthiest cocktail which won’t see you bloat, I’d suggest opting for those lacking carbonation. Want to get your healthy protein in a cocktail? ‘Course you bloody do! Their Le Grande Elixir comes with Benedictine D.O.M., Finalandial Vodka, Lillet Blanc, Lemon, Orange Bitters and a gorgeous Egg White whipped in. Neighbourhood truly is one of Manchester’s best for trend-setting cocktails, with some of their interesting offerings including potato Vodka, mini doughnuts and tons of high-end spirits thrown into the mix which you most certainly have never heard of. Their finest healthy cocktail has to be their Absolutely Divine, which is exactly that – a combo of Absolut Vodka, Mozart White Cacao, raspberries, cranberries and rosemary. You’re even being treated to fruits and antioxidants in this special concoction – does it get any better?! If you want a cocktail that has everything and the kitchen sink thrown in, The Liars Club in Spinningfields is the resort for you. Their menu is super extensive with 4 huge menus showcasing all their incredible concoctions. If you’re looking for a fruity and light cocktail, their Fog Cutter is one of the best you’ll find. Not for the feint hearted, this they deem their ‘strongest drink’, and don’t they do it justice! The Fog Cutter offers Bacardi Superior, Bombay Sapphire Gin, apricot brandy, lemon, almond, passion fruit and orange. Delectable!